In a sea of modern adaptations, sometimes it’s best to get back to the classics. Forget Katniss Everdeen and Harry Potter, it’s about time audiences became reacquainted with the likes of Captain Nemo and his iconic Nautilus. Luckily for fans of Jules Verne’s novel 20,000 Leagues Under the Sea, we will soon see the legendary story once again brought to life on the silver screen. A new report from Deadline indicates that Disney has set their sights on a film adaptation of Jules Verne’s classic novel, 20,000 Leagues Under the Sea. An origin story called Captain Nemo, the project remained stuck in development hell for some time under director David Fincher, who eventually dropped out in order to make Gone Girl. However, the project has gained new momentum by enlisting the directing talents of James Mangold, who will take on the project sometime after his completion of Wolverine 3. It’s difficult news for us to digest because characters from classic literature have had hit and miss experiences in cinema recently. While modern young adult franchises have been adapted with incredible success, like The Hunger Games, older and more iconic properties – many of which paved the way for today’s popular genre work – have experienced less than stellar results, despite major financial investments from studios. 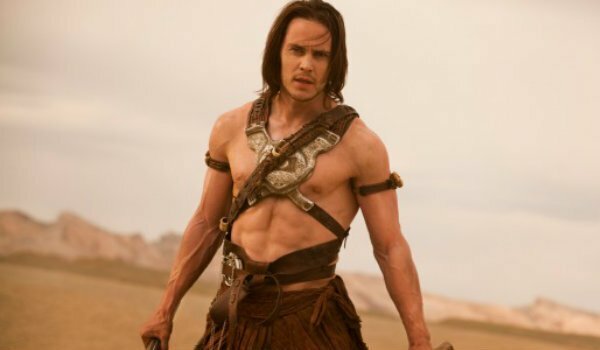 We only need to look at the absolute travesty that was John Carter to know that an adaptation of classic literature doesn’t always mean that a project will become a smash hit. The truly odd aspect of this story stems from the fact that there are actually two films inspired by 20,000 Leagues Under the Sea currently in development. Bryan Singer has been incredibly vocal about his enthusiasm for such a project, and currently has plans to bring his own version of Captain Nemo and the Nautilus to the silver screen for 20th Century Fox some time after he has completed all of his work on the upcoming X-Men: Apocalypse. However, as James Mangold’s version of the story will reportedly revolve more around an origin story than Bryan Singer's vision, we could very well see both stories hit theaters within similar time frames. We know for a fact that there’s also a League of Extraordinary Gentlemen reboot currently in development, so it seems entirely plausible that we could soon see characters like Captain Nemo headlining a brand new type of cinematic universe. We will bring you more information related to the upcoming adaptation of 20,000 Leagues Under the Sea as it becomes available to us. The story is an absolute classic, and we’re hoping that it leads to a renaissance of great films based upon beloved characters and storylines from legendary literary works.